Offers essential fatty acids and necessary high-level proteins as part of the scientifically balanced nutrition. 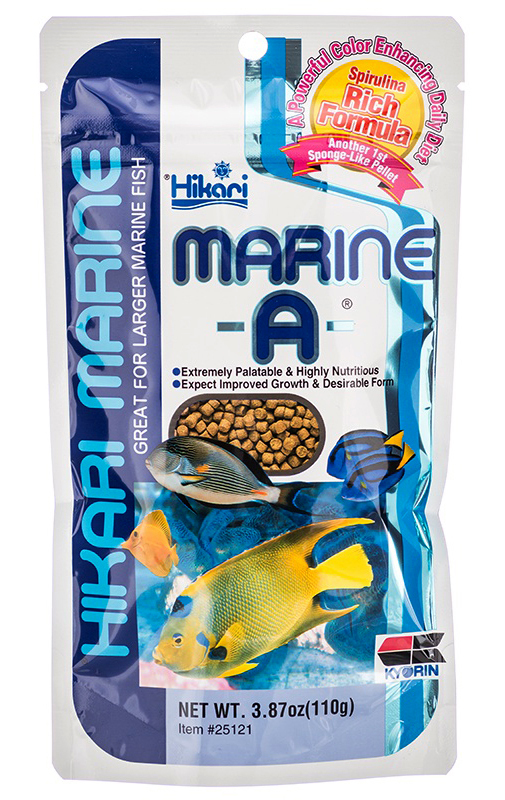 Offers seaweed meal and pure-cultured spirulina to meet the nutritional requirements of plant eating marine fishes, while providing them the nutrient sources they require to look like they just came off the reef. A unique blend of necessary nutrients which help support immune system health. Softens rapidly while triggering natural, instinctual grazing. The easily digested formula aids utilization thereby reducing waste output and helping to improve water quality with continued use.